Superior Amino 2222 Tabs by Optimum Nutrition is a qualitative amino acid complex. The composition of Superior Amino 2222 Tabs Optimum Nutrition includes pure whey protein amino acids, obtained during the processing of the concentrate, isolate and whey protein hydrolyzate. This amino acid supplement is widely popular on the sports nutrition market and is used in bodybuilding, fitness and other sports, to build muscle, speed muscle recovery and recharge the body. Also this supplement inhibits muscle catabolism and provides rapid synthesis of protein structures in muscles. The main advantages of Superior Amino 2222 Tabs are saturation of blood with all the essential amino acids and normalization of the daily protein requirements. Another effect is a remarkable surge of insulin, even after consuming of a single serving. These tablets have a high rate of assimilation and don’t have taste, so they are easy to swallow. Apart from 20 different kinds of amino acids, the supplement contains carnitine and ornithine, which are rarely added to the complex supplements. 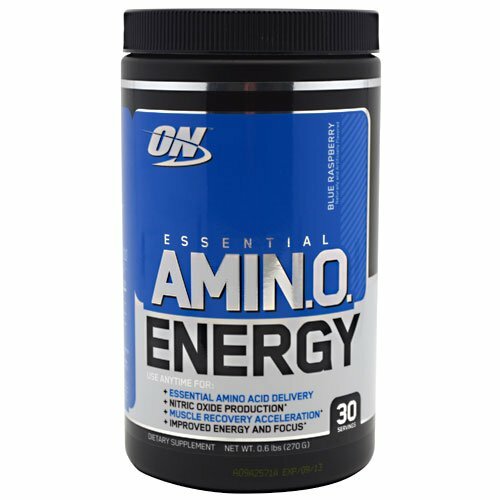 Another amino acid complex from Optimum Nutrition is Amino Energy - amino acid and energy complex. The supplement includes fast utilizable amino acids (including BCAA), natural stimulators and activators of nitrogen production. Amino Energy improves mental concentration during the training, stamina, and serves as a source of energy, improves recovery processes and inhibits catabolism. One serving of this product contains only 10 calories, and also 5 g of protein and 2 g of carbohydrates. Also the sports complex includes an energy matrix that consists of caffeine, green tea and other trace elements that improve mental concentration during trainings. Other positive effects are widening of vessels and normalization of muscle blood flow ad boosted recovery.